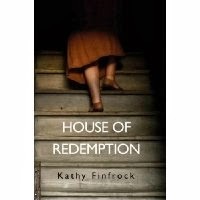 I'm excited to share with you this wonderful short story by author and friend Kathy Finfrock. I hope you enjoy it, I know I did! Mildred lived alone most of her life. She didn’t like her neighbors much and they didn’t care for her. In the early years, the women who lived on her street were afraid she would steal their husbands. This made Mildred laugh. It was ridiculous. Mildred had no interest in them. The last thing she wanted was to be under the thumb of a man who she had to clean up after. She had enough chores without hanging a man around her neck. As the years went by, Mildred’s animosity to her neighbors grew. It was reciprocated by adults and children alike for Mildred had a habit of taking the neighborhood children’s balls. She would say, “If it’s in my yard, it’s my property.” No apology was ever accepted and no ball ever returned. She had every ball imaginable. Red balls, green balls, yellow balls, orange balls and blue balls. Not one ball did she return. Lydia, who lived two doors down, attempted to threaten her right back with lawsuits of her own. Mildred smiled back at her and beckoned her to come closer. She whispered in her ear. Lydia’s dark tanned skin turned a sickly pale dead fish white. Mildred smiled and said nothing more. The woman stepped away without a word and left. She moved within the next few days and never told a soul what it was that Mildred had whispered to her. Years passed on. People came and people went. Children would continue to lose their balls in Mildred’s yard. They tried hard to be careful, but it was as if the balls were drawn to her house as a paper clip is drawn to a magnet. Little Sammy cried that his hakisak jumped right out of his pocket and leaped into her hedge while he was walking by. He swore that he was not playing with it at the time. No one doubted the boy’s claims. Mildred’s ball collection grew and grew. One room was filled from floor to the top of the ceiling. She didn’t dare open the door less they come tumbling out. It never occurred to her that she should get rid of the balls. The concept ran against the grain of her soul. She was always first in line to get something free but she wasn’t one to give anything away for free. She would not donate the balls. She certainly would not give the balls back to the kids and she would not throw them away. She had no idea what she would do with them and so the ball collection continued to grow. One day, Mrs. Smith, a person from social services, paid her a visit. Someone had placed an anonymous complaint. Mildred had been through this before. She wasn’t concerned. Mildred invited Mrs. Smith in wondering what kind of new free service she could receive. Mrs. Smith attempted to do an inspection. Mrs. Smith noticed that there were balls in every room. Balls in the corners of chairs, balls on the windowsills. On top of the bookshelves, on the back of the sink in the bathroom, in the bathtub. She even found balls in the freezer. Mrs. Smith opened a hall door a crack. A red ping-pong ball with blue stripes rolled out of the room and stopped in front of Mrs. Smith’s feet. Mildred quickly snapped it up and put it in her pocket. “No, no. Do not open that door.”Mildred said moving as quickly as she could to get in front of Mrs. Smith closing the door. “This room is used for storage,” Mildred told her. Although she was surprised at this, she didn’t think it was cause for alarm. It’s common for old people to collect odd items. Why she knew of a man who had over 1,000 frog items. They brought him comfort and as he had told her, he just really liked frogs. Mildred obviously for some reason must like balls or so she thought. All in all, Mrs. Smith felt that the complaint was invalid. There was food in the fridge and the home, although cluttered with all the balls, was not in squalor. Mildred did not appear to be a danger to her self or others. Off she went. One day Mildred noticed a little girl standing on the sidewalk across the street. She was a skinny dark haired child, scabs on her knees, hair unbrushed and generally unkept. The little girl would stare at Mildred’s window for hours at a time. Sometimes she stood and other times she sat quietly on the curb, scrawny arms hugging her knees. Mildred couldn’t understand how a child could stay for so long in one spot. The child didn’t play or jump around. She just stared at the windows of Mildred’s house. Even though Mildred watched her through the lace curtains, she felt the child was staring directly back at her directly into her soul. Mildred couldn’t complain or say anything as the child was on the other side of the street. The little girl looked up at her. “I hear them. They call to me. They want to come out and play,” she whispered. “Who calls to you? What are you talking about?” Mildred asked exasperated. The little girl looked across the street and sighed. She leaned back on her elbows. “The balls. All of those balls. They can’t breathe. They need fresh air and freedom. They want to play and now they are getting angry. Mildred shook with anger but she was more unnerved by the little girls calm stare. “And just what is going to happen to me?” she hissed. “The balls will let you know.” The little girl stared at the house across the street. Mildred decided this whole thing was ridiculous and stomped back across the street to her house. She opened the door and stepped in. She promptly lost her footing and slipped on a ball. She grabbed a chair and kept her self from falling, but just barely. She picked up the ball. She looked out the window. The little girl was gone. She put the ball in an empty bowl on the coffee table. She sighed deeply and sat in her chair. Or more to the point, she sat on yet another ball. She reached under her large behind retrieving that ball and placing it in the bowl with the other two. Two? Yes. There were now three balls in the bowl. Mildred shook her head confused. “I must be tired. I should lie down for a short nap,” she said to her self. She dreamed of bouncing balls. She woke up to a ball bouncing on her head. She grabbed it and threw it across the room where it hit the wall and bounced back on her head again. Maybe the little girl was right. Maybe she should get rid of the balls, but no she couldn’t do that. She couldn’t admit that maybe she was wrong after all. The house was gloomy. Surely that little girl wouldn’t still be outside as it was cold and rain was pouring. She thought she should call child services. That child was too young to be sitting on street corners. Her parents obviously were neglecting her. Thunder rolled across the sky. Sure enough, the little girl was standing there under a dirty torn umbrella. Mildred had to move several balls to get to the phone book. That was it, she was making the call. She unburied the book, but when she looked up, she saw that the girl was gone. She set the book back down. Maybe she would call later. Right now she had a splitting headache. She went to lay down for a while until the pain passed. She woke up to a very dark house. Oh my! She had slept the whole day. She could hear the rain pouring down outside her window. She clicked the lamp beside her bed but the power was out. She went to her dresser to find a flashlight. Thump thump. What was that sound? “Are those kids throwing balls against the house in the middle of the night in the rain?” she asked. She half-way expected the balls to answer her. Her skin bristled. She set the balls on the top of the dresser as she fumbled in the drawer. The balls rolled to the floor thumping as they landed one my one. She could hear them rolling onto the floor. She found the flashlight. The light flickered on and off. Thump thump. What is that darn noise? Mildred opened her bedroom door and took a sudden step back. She was shocked at what she saw. She was beyond angry. The doorway was completely blocked with balls. Somehow those kids had broken into her house and built a wall of balls. Heads were going to roll now. “You kids had better get the hell out of my house!” she screamed. She tried to push her way through but the wall did not give. She stepped back. The wall was moving. It was heaving. Suddenly, for the first time in her life, Mildred was afraid. She was VERY afraid. There was no sound other than the rain and the steady thump thump. She didn’t believe it was the kids anymore. The wall heaved back and forth and then it burst forth. Balls flew at Mildred knocking her down to the floor. Golf balls bounced on top of her head. A basketball smacked her in the center of her face sending her reeling landing hard on her back choking on blood from her broken nose. She tried to get back on her feet, but they came in force one after the other never stopping. Big balls and little balls rolled over her and on top of her. They covered her legs, pinning her arms down, the weight of the balls crushed her legs. She tried to scream but it was futile. There were too many balls. Mildred was buried under the balls. The police asked the neighbors if they thought anything was missing. Eight unscrupulous guests arrive at the Blackstone resort unaware this house was built on the blood of slave labor by the zealous Reverend with the intention of making sinners repent. It doesn’t take the group long to figure out that they have been lured to the resort to be punished for crimes that have long gone unpunished. Tension mounts as, one-by-one, the number of guests are reduced through the ingenious plotting of the unseen killer. Is it the house’s former deceased inhabitant or is it one of them? Also if you have a scary drawing, painting, music or story that you would like to share this month please do.